Not many cities offer the contrast that Germany’s capital does. It is an old city with a proud and often dark history. It is a modern city with a suave and cosmopolitan disposition. It is a business capital. It is also a cultural hub. All this is a precipitate of the city’s 775 years of history. There is something almost overawing about walking past a house and learning of its history, and this feeling peaked when I visited a place known as the Hotel Pension Funk, an old building inaugurated in 1895 (not that old by Berlin’s standards). It is famous not just for surviving the First and Second World Wars intact, but also for the celebrities that have lived in it. From the walls, covered with flowery wallpapers, photos of Asta Nielsen, the silent movie star of the 1910s line the walls. She had lived there, as well as WWI hero pilot Ernst Udet. The house has remained as it had been from that period, the furniture and fitment, the squeaky floorboards and mechanical elevator that shudders to a halt, with the latch and bolt tinkling. You sit in a chair and become inundated by the fact that it had been in use for over a century. In the 1950s the Funk sisters bought the house, kept all the old furniture and fitments and converted it to a hotel, where artists visit to walk in the memories of the one known commonly as Die Asta (The Asta). But elsewhere, in the poorer districts of Berlin, a place called Wedding (pronounced veding), some youths in the area have found a more contemporary use for an old building. 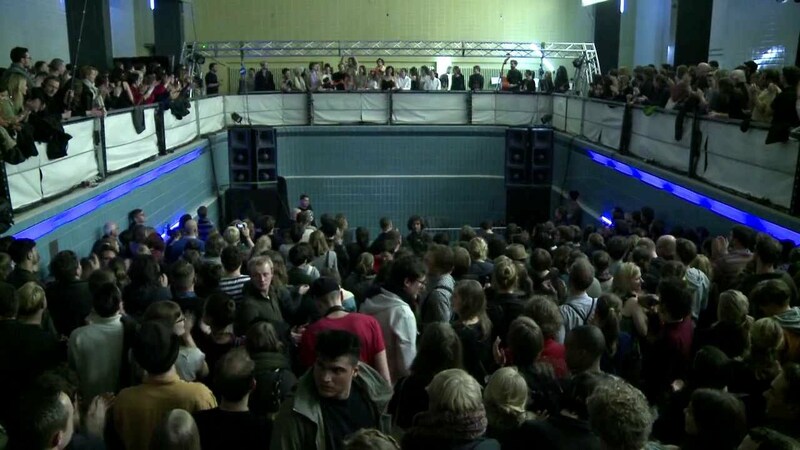 An abandoned state swimming pool designed in 1907 is now a place where young Berliners swim in revelry and art. It is a huge building with two giant swimming pools – one for men and the other for women. The building did suffer from the heavy bombings of Berlin during WWII. And after post-war renovations, Berliners moved on and the idea of a state pool, which had been used as a sort of public bath in th 1920s, particularly in Wedding didn’t seem so relevant anymore. And for many years, the building lay abandoned and efforts by the city authorities to sell it proved futile. But then Jochen Kupper and his friends moved in. They wanted a hub for youths and Berlin, with a reputation as the world’s graffiti capital, had many youths with fingers itching to paint on something. At Stattbad (which is derived from the words “City Bus”) they found the place to unleash their talents. 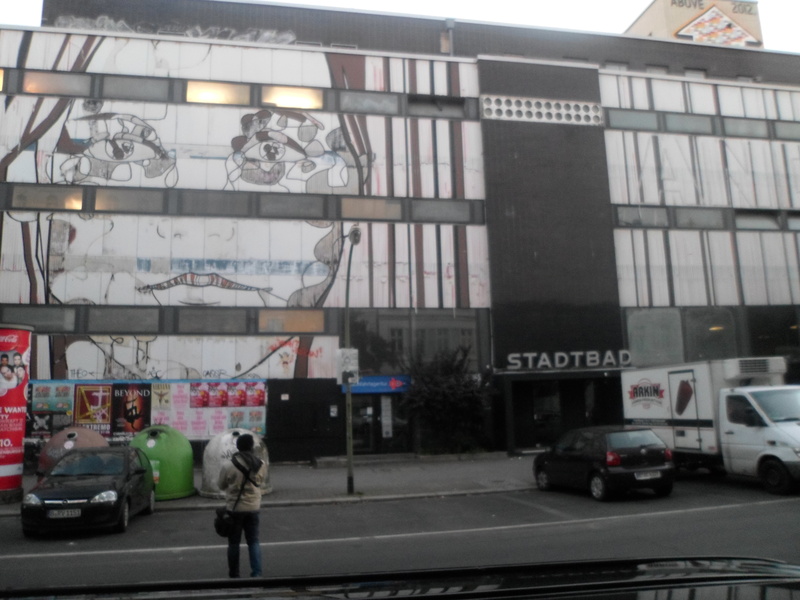 “We are now hotspots for arts and culture,” Kupper, who is the manager of Stattbad, said. He seemed pleased with the result of the work they have done at Stattbad, whose reputation has grown via social media and word of mouth. In that huge building, they now have some 60 resident artists and play host to some 15, 000 people every month. Impressive. And to keep the place functional, they have some 10 employees. Out back, the Stattbad team have got a garden and a bee house. They don’t make much money from it, but it is another demonstration of their resourcefulness and determination to put to use all the space available at this facility. But the same can’t be said about the bar downstairs. Being in the underbelly of an art hub, the bar is fitted with some imaginative furnishing carved by the expert hands that call Stattbad home to their works. It brings in some little change. Obviously not enough for the grand plans Kupper and his team have for the place. They need about two million Euros to totally renovate the rundown building, money that has been hard to come by since the state abandoned the building eons ago. Now, Kupper is optimistic that what they have done with the place has put them in good stead to get the funds. But until then, in their own small ways, they will continue to put in their talents and resources into keeping the city bus running and giving the youths and arts lovers of Wedding something to look forward to, be it a good shindig or some cool art works to appreciate and purchase. Half way across Berlin, in Neukolln, another old building has been appropriated for the purposes of arts, and also by the young. SAVVY Contemporary, described as a laboratory of form and ideas, has just set up office in an old red brick building. This building was built in the mid 1920s by famous German Architech Hans-Heinrich Müller. And the brain behind SAVVY Contemporary is Cameroon-born Bonaventure Soh Bejeng Ndikung. It is a non-profit arts space but Bonaventure is rather passionate about it. His desire is to create a unique arts interface in Berlin that will accommodate all forms of works from every corner of the world. 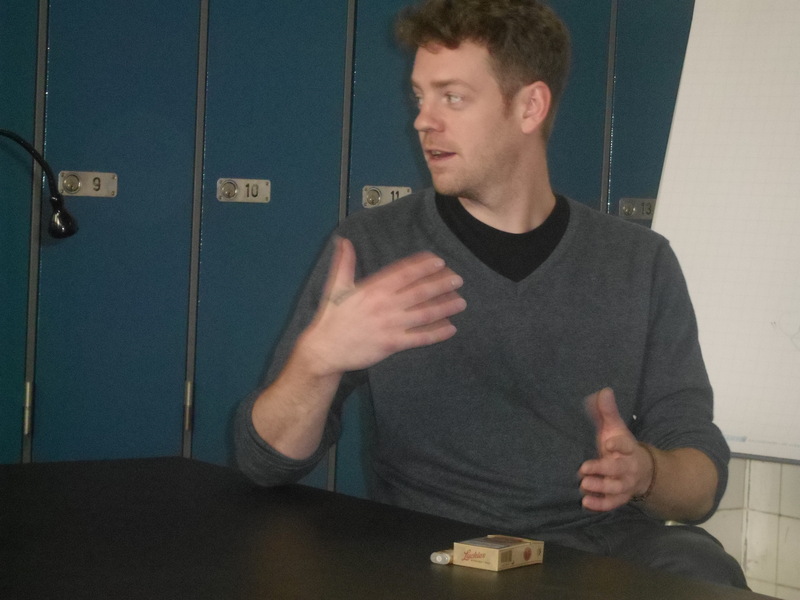 He is keen on making “world art” really art from all corners of the world. Like Stattbad, SAVVY is now located in an old abandoned building, only this one is privately owned and has been left to the ravages of time. Bonaventure and his friends moved in to rescue the situation with the arts centre they started two years ago. From the entrance, just inside the old archaic gates, a Romanian folksong plays from the speaker in the staircase. The song is performed by one of the artists whose works was being showcased at the ongoing exhibition. It is interesting inside. On every other turn, a remarkable piece of art mesmerizes the visitor as he ascends the old building, seemingly sprouting out of the walls whose paints are peeling off. Bonaventure explains that since they didn’t have the money to fully renovate the building, they have chosen to make its decay part of its attraction. “We could wait for someone to come do it and make the place far more presentable, but it is not about that. It is about doing,” he said. 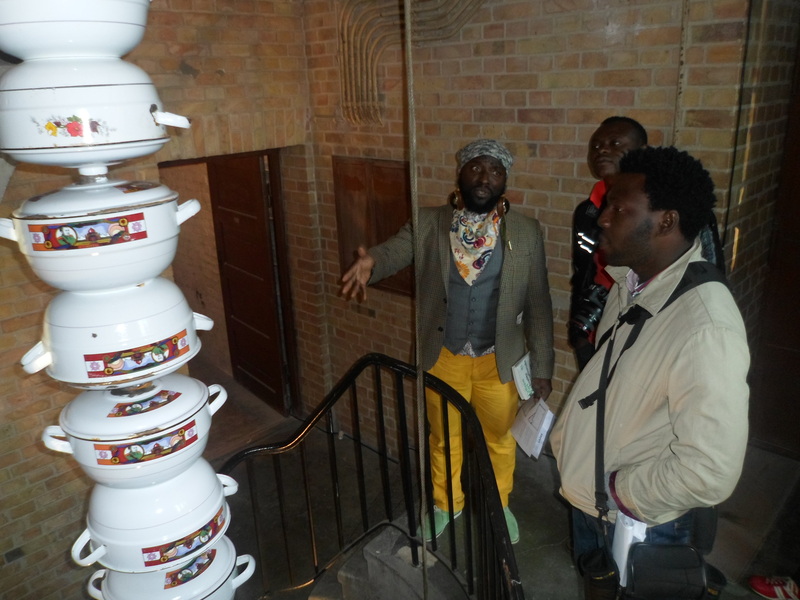 Inside, there are art works from artist as far afield as Colombia, Nigeria and elsewhere. There is a small bar by the reception that Bonaventure hopes will rake in some money to keep the place going. And they will need a lot of that. When I visited, Autumn was just kicking in and the building, without central heating, was already cold inside. “I don’t know what we are going to do about heating in winter. I hope we figure something out before then,” Bonaventure said. Apart from the challenge of heating and renovations, which are very much needed, SAVVY Contemporary, because of the way it is set up is losing some of its arts works. “Sometimes people come in here and when they appreciate some of the work they just put it in their jackets and walk out. We have to do something about securing the art works here as well,” he said. This challenges notwithstanding, SAVVY Contemporary is determined to stay. Berlin has many old buildings, some of them abandoned. Now some of them have been taken over by these young, creative minds who have found other uses for them other than were originally intended. In a way it could be said that they are rescuing Berlin, too much in a hurry to move on, from falling into ruins.